Faraday, you do that so very well..
must be the theme of the day! Love it! Holy moly! Faraday, you have the purrfect spot! Hard at it Faraday? Have a wonderful Wednesday. Faraday doesn't do anything in half measures! PLENTY of room, come on down! 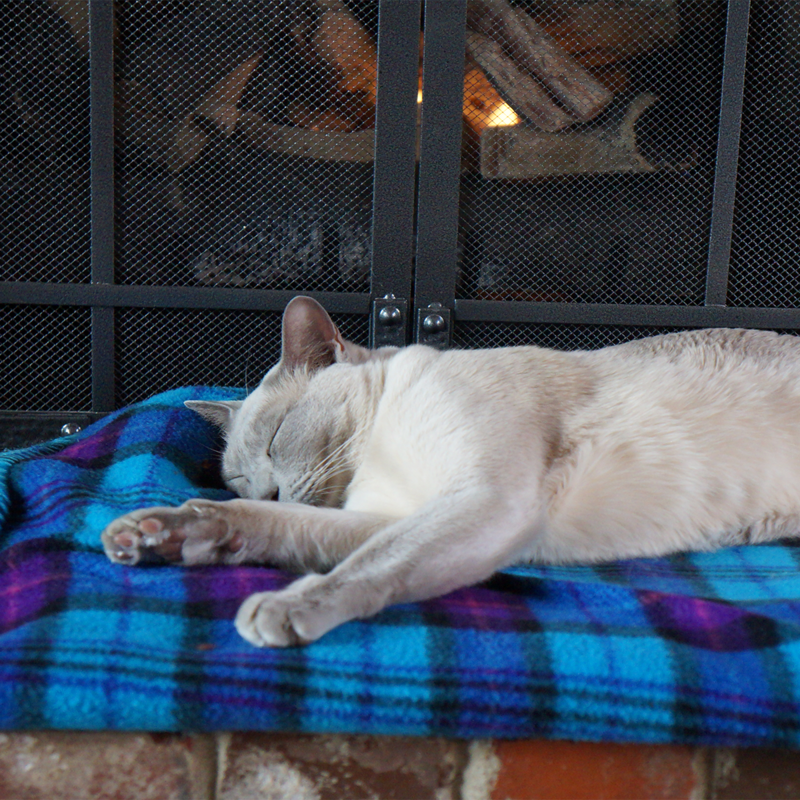 Oohh, a fireplace hearth cat nap! That looks so tempting! Bark More, Growl Less Barking from the Bayou! Done like a real pro! Oh, Faraday, that looks like a pawesome place to nap. You have a FIRE? That must feel great. oooh yea, there's nothing BETTER on your furs. For REALZ. Faraday, you look like nothing could wake you! Whoa! Not even the camera can wake him. Maybe if I bang on this drum. BANG BANG! MOUSES! Faraday?? Did you wear yourself out muttering trying to do the math on my Monday blog post??? Mouses I say! Faraday: Savvy! How did you KNOW?!?!? looks like a lovely place to snooze!! Me would LOVES to cuddle up with yous!!! The fire looks pawsome!